Understatement of the year: Ty Sambrailo had a really bad first half. 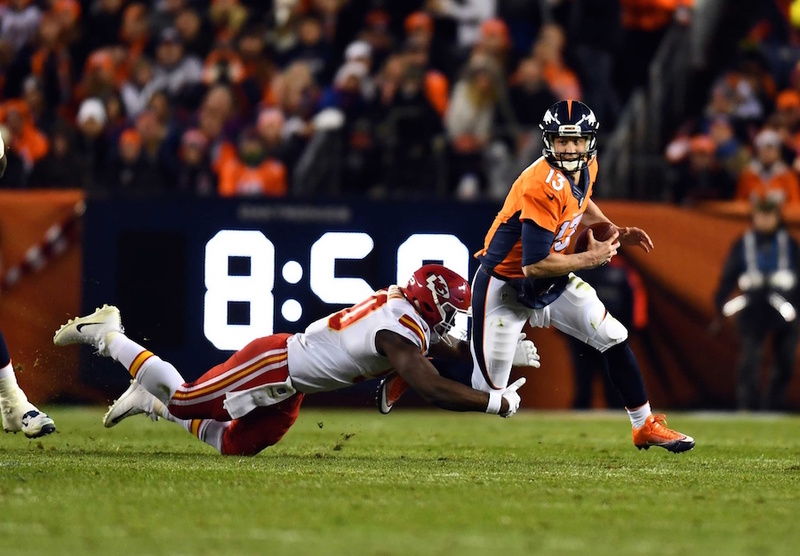 Sambrailo took over as the Broncos’ starting right tackle before the bye in place of Donald Stephenson who, at the time, was Pro Football Focus’ worst tackle in the NFL. Sambrailo seemed to do him one better on Sunday night. In the span of less than two quarters, Sambrailo proved he isn’t worthy of playing on this Denver Broncos line. And that’s saying something given how putrid this line has been playing. Not only did he give up two sacks to Justin Houston — in embarrassing fashion, I might add — but Houston tore Sambrailo’s shirt off of his back. Houston roasted Sambrailo so thoroughly that the No. 74 jersey tried to save some dignity and jettison itself from Sambrailo’s body. If he sees the field again this season, be sure that something has gone horribly wrong in Broncos Country.